One of the unique aspects of UTOPiAcon is the community that it has fostered. A tribe dedicated to helping each other reach goals, lead dreams, and change lives. Represent the tribe in style and help lift the Con to new heights in 2016. 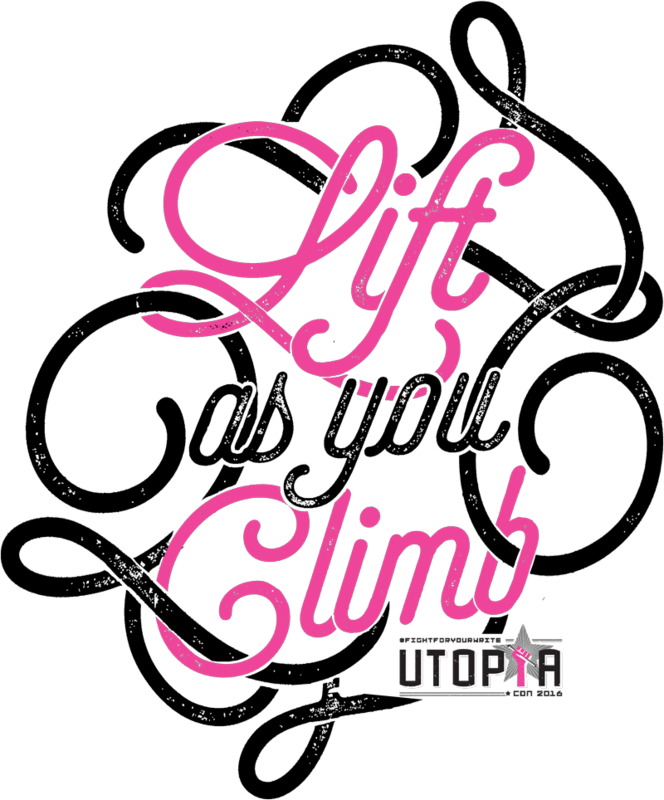 Janet Wallace, founder of UTOPiAcon has often encouraged attendees with the mantra "Lift as you Climb"
We felt it was only appropriate that we make the phrase into a stunning design that the "tribe" and supporters can wear to help the Con grow. Since its inception, UTOPiACon has helped support the careers of several writers, bloggers, designers and more, and its only appropriate that this design give back to the convention and Janet. For more info about why Whit&Ware and IndieVisible designed these limited Edition Tees for UTOPiAcon, click here. 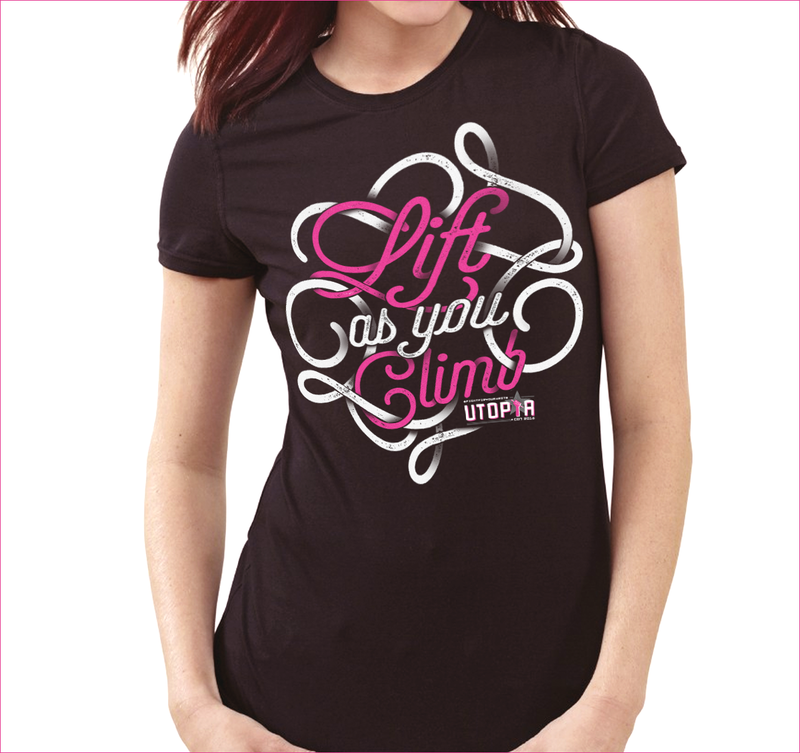 This design will expire on August 30th, 2015, so get yours while you can! We've included more style options this time around, so make sure you take a look at the drop down list for the style you love best. When you select an item from the drop down, the sizes will populate in right underneath the style option.